It seems all I’m doing lately is playing around with hats and brims, but I’m so excited to share with you this version of the brim (and it looks exactly like the ones in those photos!). So excited in fact I couldn’t wait for my model to get back from school – so here it is on a balloon! Louise (from Red Haired Amazona) and I have been emailing over the last few days about the brim of the spiral hat. She very helpfully (for all English speaking crocheter’s) worked out a version of the spiral hat pattern, but I changed the brim she had worked out (you can find out how/ why here). 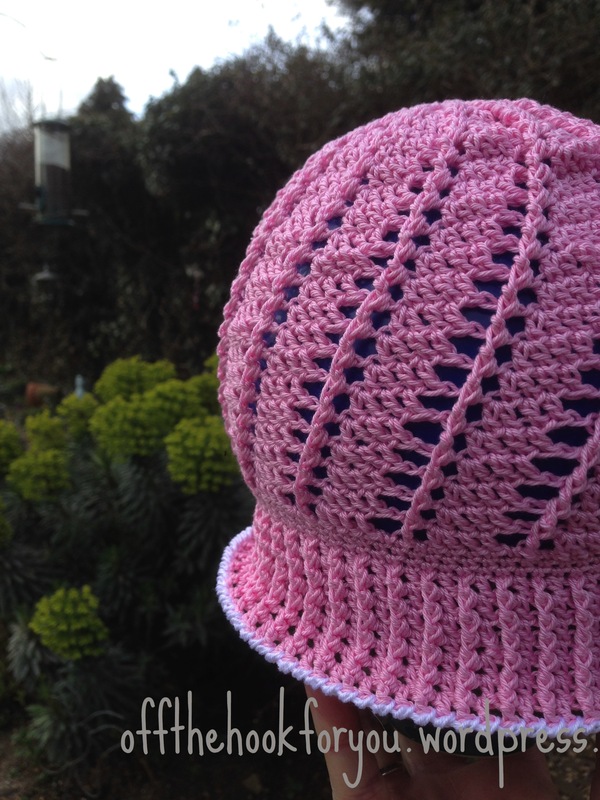 Louise added a link to my blog and why I changed things – and yes- the brim looks great – but it is a bit chunky when compared to the delicate hat. Anyway – to cut the conversation down, we both decided to have another look at the brim. So attempting Russian again, you tube, and studying loads of pictures …. I started and I thought I might of cracked it last night – then was so excited I woke up at 4am and couldn’t get back to sleep! First – I needed to make a hat – so off I set – I decided to try an experiment here too, the only way to size the hat is from the amount of sections you have – so rather than 16 I tried 15 (I’ll write my sizing up later for you). 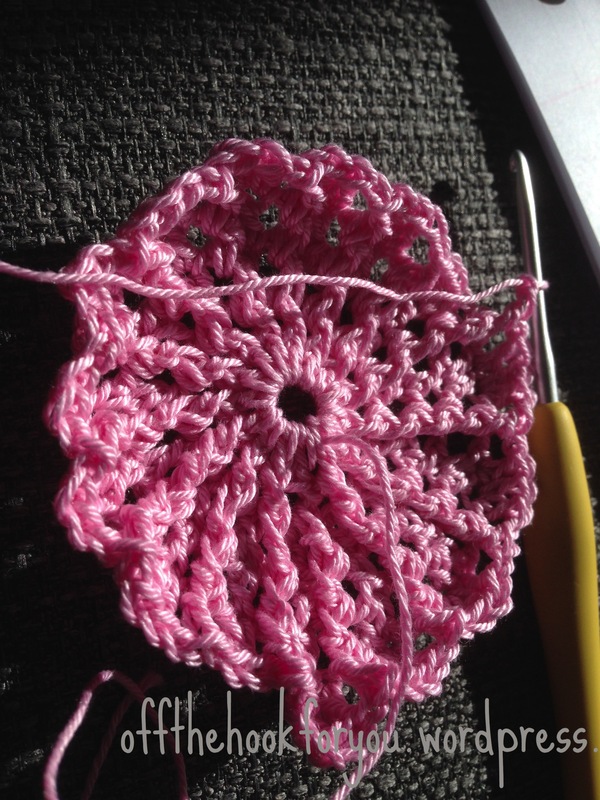 I progressed – but head on over to Louise’s blog for her instructions. 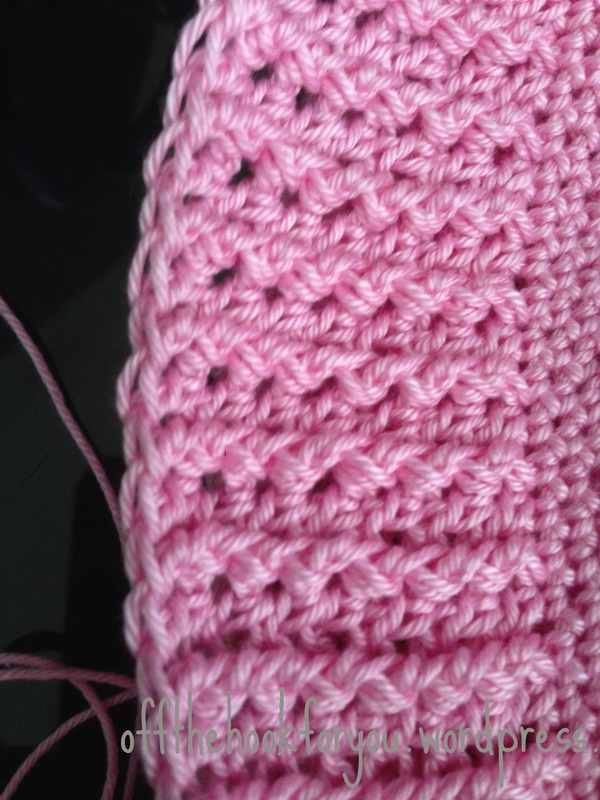 I continue the same round of the pattern until the hat in on my daughters eyebrows – this is where I start to change it. 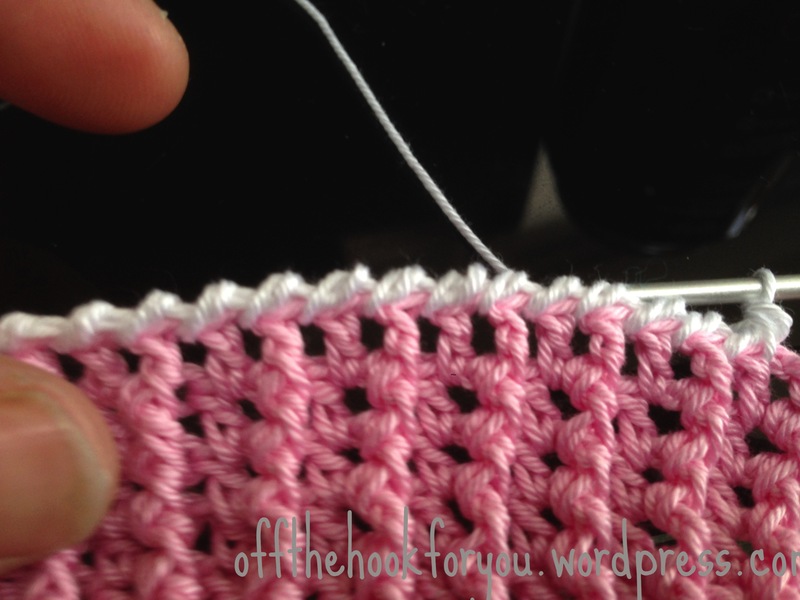 Change to a 2.0mm hook and complete 3 rows of single crochet (NO Increases on the 3rd row). Change up to a 2.5mm hook. Row 4 of the brim – Chain 3, FPDC in the same stitch. DC in the gap immediately to the left of the FPDC, *skip a SC and FPDC in the next stitch, DC in the gap immediately to the left of the FPDC*. * repeat this all the way round. Rows 5 to 9 (6 rows in total) – are exactly the same as row 4. You will know if you are lined up correctly as the FPDC will produce a nice straight ridge. Here is what my 6 rows look like. Hat being modelled by my daughter before the last row below. 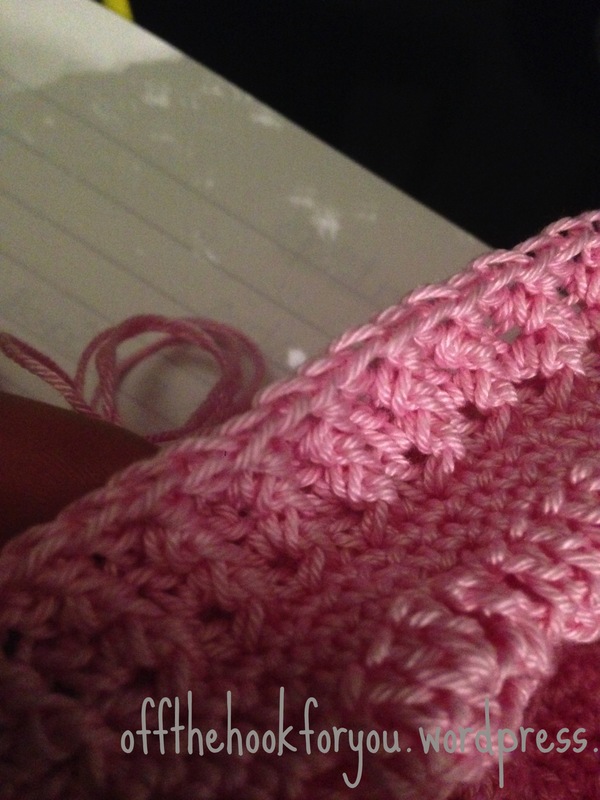 Once you’ve finished the 6 rows – you need to do 1 row of Reverse Single Crochet. I changed colour here to make it look like the original hat. So working from left to right (it feels very odd), go through the stitch, pull yarn through, then yarn over, and onto the next stitch. And – here it is…….. Couple questions: I am a new crocheter and have made a few of these hats. 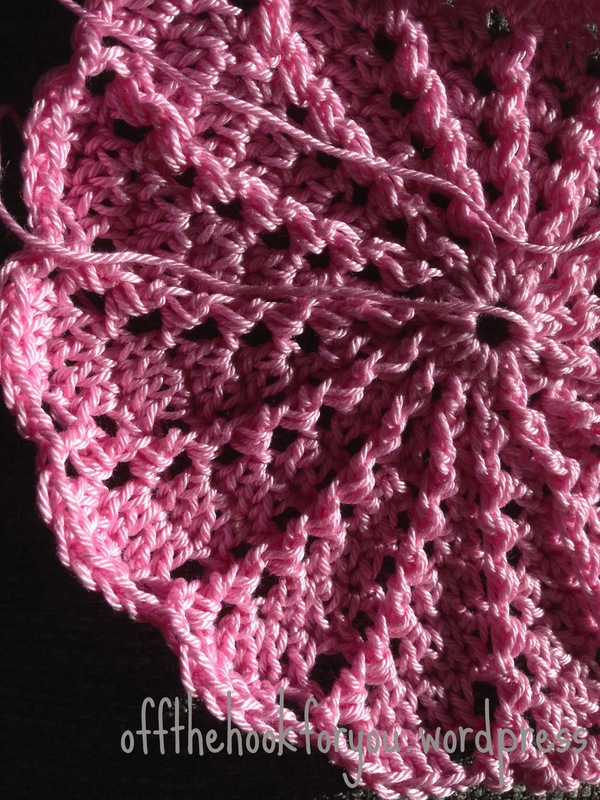 About the brim, does putting an increase in the 3rd single crochet row make the brim flair out more instead of going more straight down? I have mistakenly put extra FPDC/DC in a couple brims and it made it wavy (kinda cute, actually). But I’d like it to just flair and not go straight. Your pink one is so pretty! Where can I get that thread? Hi, Yes – I think the extra SC in the 3rd row does make it flair our more. 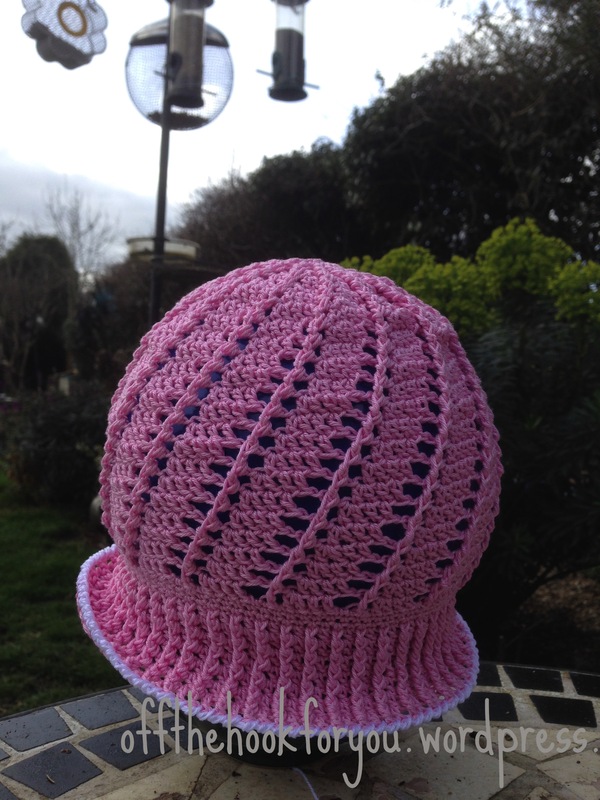 If you look at Louise’s original post (http://redhairedamazona.blogspot.com.au/2015/03/russian-little-girls-cloche-hat-pattern.html) about the hats with the single crochet in them – the brim tends to go wavy – but she has added chains in the brim too – which might account for this! If you want it to flair and not go wavy – the FPDC and BPDC methods works nicely (with the extra SC in the 3rd row). The new brim I’ve written up goes down – but then kinks up a the sides – Just like the original pictures! 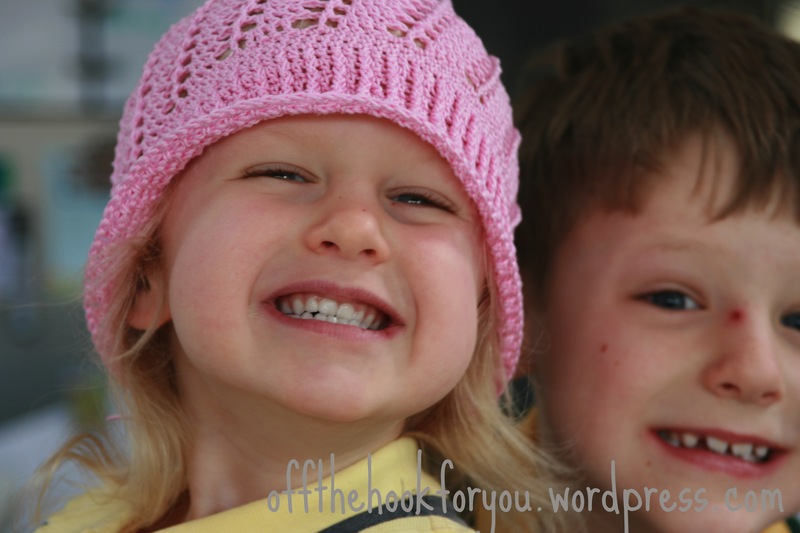 What pink hat are you thinking of – the lighter pink or the darker pink – as they were from different places? I’d love to see some pictures when you are finished? I was looking at the original chart and it seems to me that there are increases in 2 rows of the brim to make it flair out more – also she changed her hook for the last 3 rows back to a 2? I can only comment on what I’ve looked at / researched. I’ve only managed to find one image on google that might be the same hat – (but it looks Chinese (? ), and has the Chain gaps only on one side of the spiral). This one does increase the brim slightly. I’ve watched a “lot” of the Russian you tube videos to try and work out what they’ve done – and they either do it as I have described – or they have used the plastic cord to make the brim stick out slightly. The way I have described gives the even spacing of the ridges shown in all the delightful pictures of the little girl. I’d fear if you did increase the brim – the lines wouldn’t give the parallel effect which makes the hat so distinctive. Hiya… Well I’ve made it, and combined yours and Amazonia’s brim, and got exactly what I was looking for! 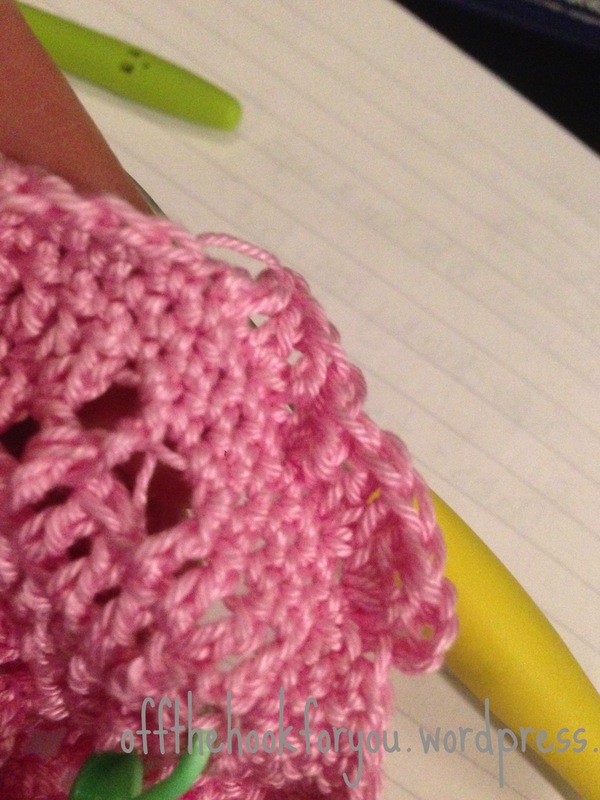 I changed down a size hook and did the increases as per Amazonia, then your instructions for he brim. It glares without being floppy …. If I can email you a pic I will..
Glad I could help! It was one of those things that was going to annoy me until I figured it out! I made a couple more hats since – and they all turn out exactly like the original pictures so I’m very happy! I am really glad that someone was able to get a pattern for that cute hat! I really like you’re touch of the Reverse Single Crochet , it adds a great finishing touch to the hat! I’m really going to try creating this hat! I would love to save all these hats flowers and other patterns to my website and Google I really love all these thank you. My hunny an ice road trucker said hunny seriously your not sleeping! Then I found your pattern! So I sat and watched her step by step man oh man !!!!!! Oppsie I almost fell asleep! 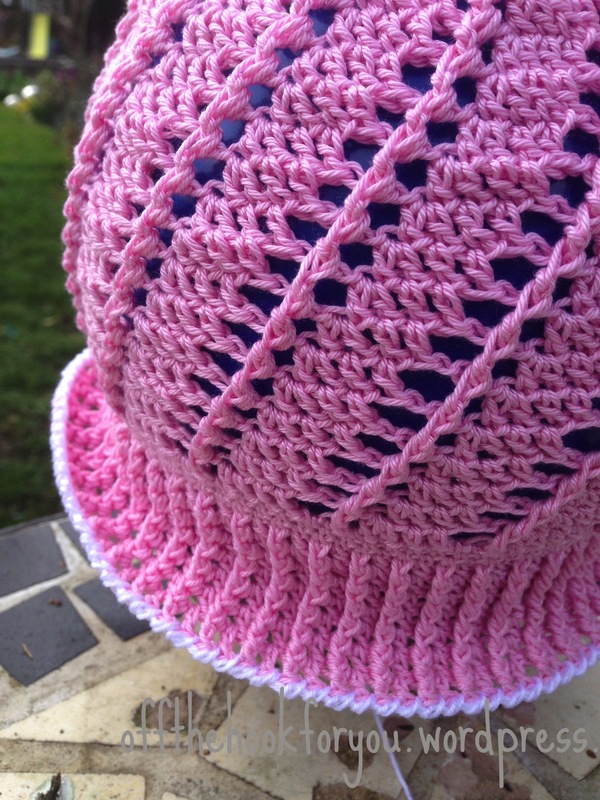 I LOVE your post…and wish there was a link to your finished hat! Sorry forgot something if you work tight really tight and keep that strand tight it really makes a difference!! I really enjoyed reading your posts about these beautiful hats and want to thank you for the effort you put into the instructions and video! I’m currently making one for a friend’s daughter and have a few questions about the bim, if you dont mind. 2. When I skipped a sc after working the regular dc, I found the hat opening became really small and tight… what am I doing wrong? Hi, thanks for getting in contact. The brim is tricky and I haven’t made one in a good 6 months now! If you look at my written instructions it shows where to do the dc. 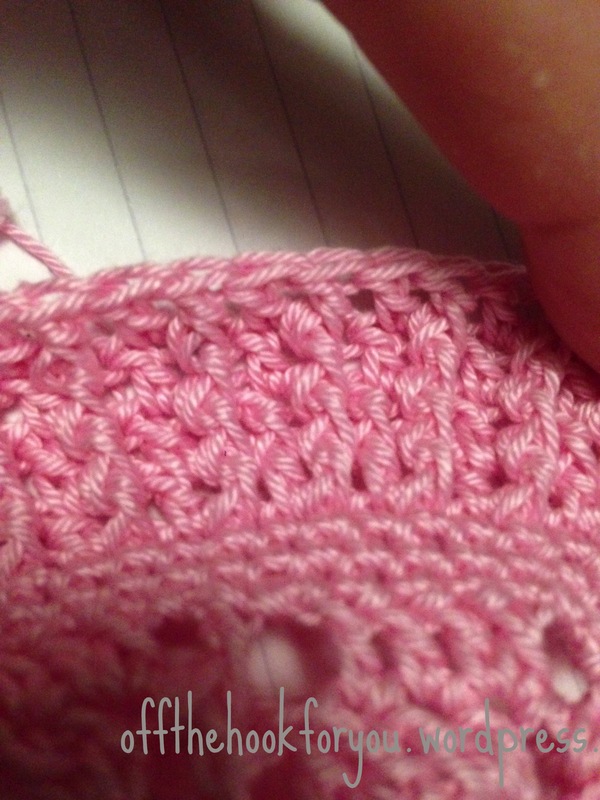 What I found on my first few attempts was that when you do a fpdc you automatically try to ‘add’ another stitch. So you need to be careful where you put the single dc after the fpdc- and keep this consistent! Hello, thank you for this, but I am having a small problem, mine does not go into a special, it stays straight, looks great but the cute girl I am making it for is hoping for a sprial shape. I have tried it a couple of times and would like help if possible. I am new to crocheting but love it. Thank you. Have you watched the YouTube videos by Louise of Red Haired Amazona? She shows how to get the spiral perfectly! Good morning, no I have not, unfortunately I have limited internet where I live, so I will head to the library and look at it there. I love the Panama hat. I cannot find a pattern for the leaves and flowers. There is a picture of the hats on Pinterest, I like the flowers and leaves on the blue hat. Do you have a pattern for them? I have spent the last couple of months working on all the pattern variations on the Russian blog, and have found a couple things I want to share with you. There is indeed an increase in the sc rows at the beginning of the brim. I increase every third sc with either 2 sc in same stitch or with a chain. Then, instead of using DC, try SC. Ch 2, FPSC on next post, SC on next SC, skip next SC, FPSC on next post, etc. 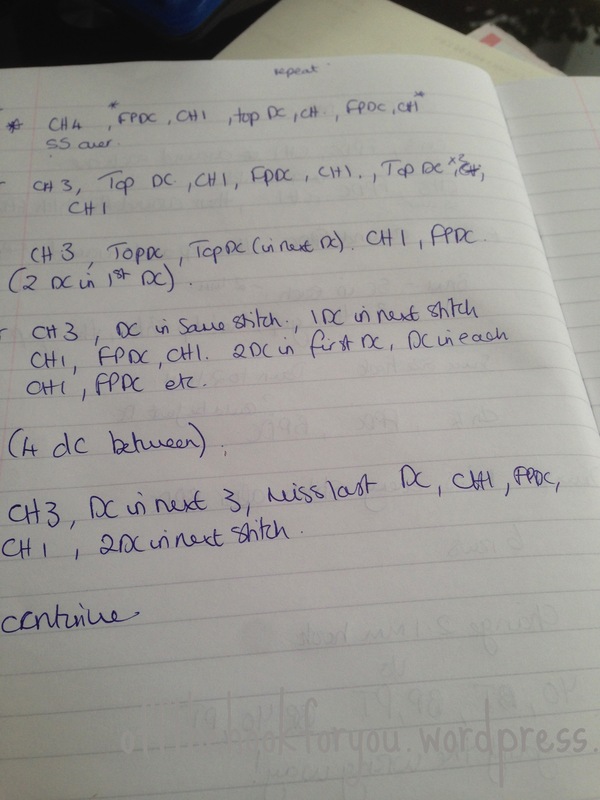 On the second row, Ch 2, FPSC, then SC in the space directly to the left of the FPSC, skip next post, repeat. Repeat this row 4 more times, for a total of 8 rows in the brim. Also, in the body of the spiral hat, I added another chain stitch between sections to row 8, for one more increase row, it fit my grand daughter better. Hi, Thanks for your comments. I’ll have to try what you suggest when I make another hat. I’m rushing to finish one currently so think I’m going to stick to my DC version on this one as the thought of doing 8 rows in SC, and my hands isn’t very welcome! I do crochet the mine really tightly which might make it stand out more too! I didn’t mention how much I appreciate this blog post, and Red’s. I couldn’t have gotten as far as I did as quickly as I did without both of you! I’m doing one now (it’s the green one near the bottom of the page of the Russian blog) and decided to try hdc on the brim. It seems to be working out so far. I wish I could post pictures here! Hi i’ve completed the hat but struggling with the brim, i’ve done the 3 rows of sc and struggling on the fpdc row, i’ve watched the video and looked at the pictures and still cant get it, i do the 1st row of the 6 and cant get anything to line up in next row. Hi, sorry for not replying sooner – I haven’t made a hat in over a year, but am just on the brim of one now so I can answer your question! Your collaboration with red haired amazon a is without question inspirational! Lovely hats and I think I get the brim too. My only question is. 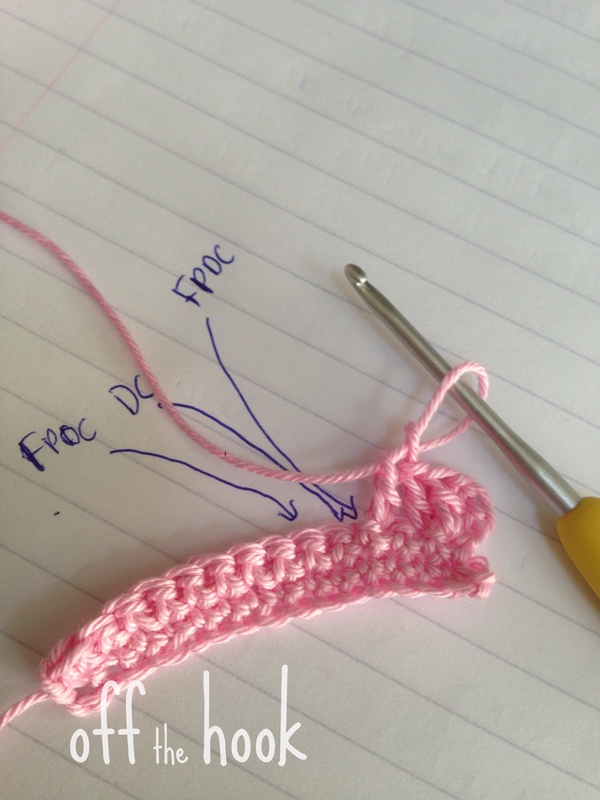 When connecting the first and Subsequent rows together after the last force, do you slip stitch into the chain three then do the first fpdc around the previous one? Please and thank you for taking the time to not only do the pattern in the first place but to answer all our many questions. Hi, Thank you! I’m currently making a hat now – so I can answer this (I haven’t made one in over a year!) 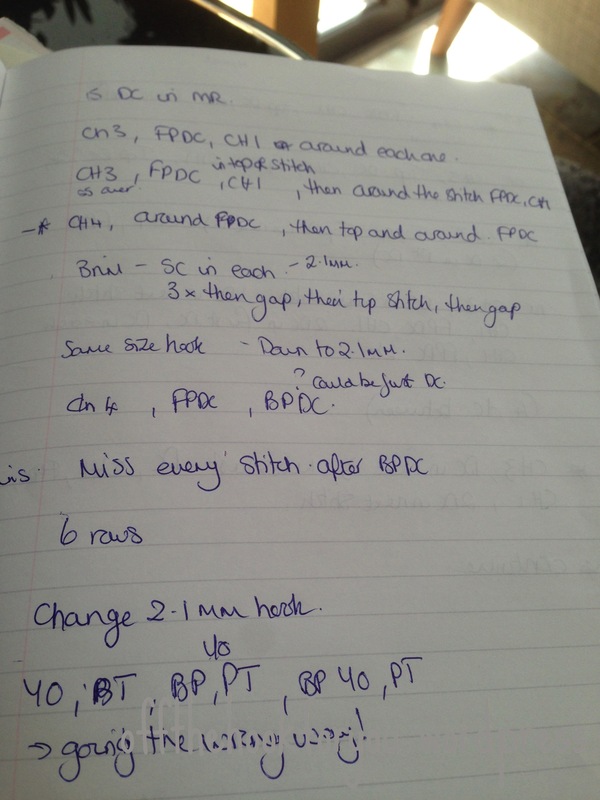 so yes – I’d slip stitch to the top of the chain 3, then Chain 3 to get to the right height, the FPDC around the first one you did on the previous row.